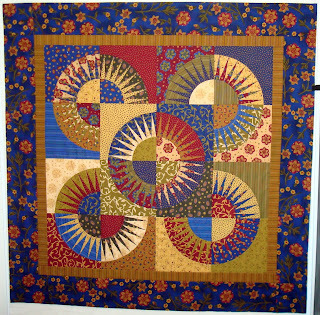 Squash House Quilts: New York Beauty Ready for Lenni! You have been a busy girl! 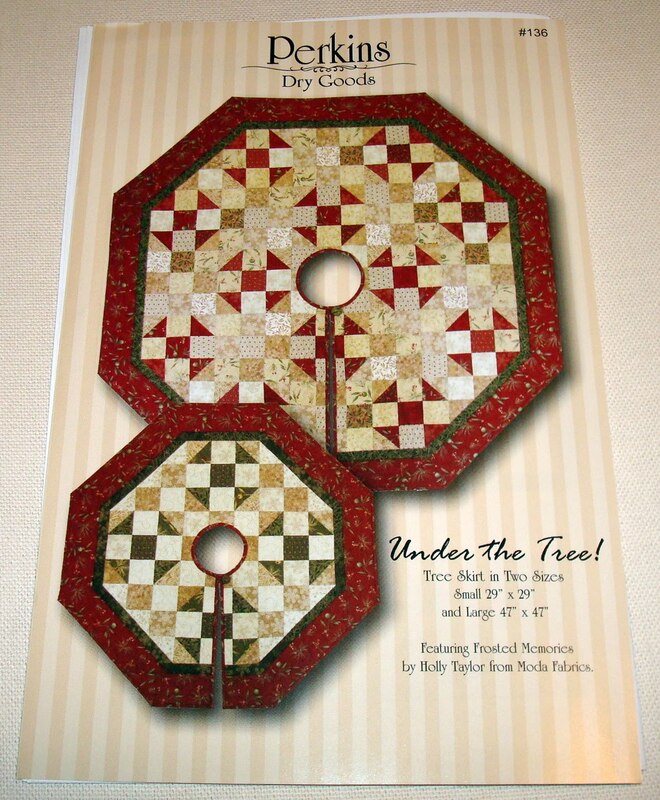 I am loving that tree skirt pattern and will be checking out for myself. Enjoy your time with Lenni! That is a beauty. I quilted one of these that was huge when I first started with my machine. Loved it, lots of funky swirls and spikes and spirals. ?, why the straw on your garden beds? Your quilt top is beautiful can't wait to see it quilted and I really like the tree skirt....prayers for Mr. Squash continued improvements!! Love the tree skirt pattern. Haven't seen it before or heard of Perkins Dry Goods so I'm going to have to check them out. Fall has hit the Palouse and we have snow on the mountain. Christmas is indeed getting close when we see snow! I would say Mr. Squash advised you well on the block placement. Does this mean his recovery is coming along well? Fall is in full bloom here as well. My husband thinks if he keeps watering the hanging baskets on the front porch he can nurture them along all winter..Silly boy! Enjoy the fall. Good time to nest in and stitch. Oh Candace this is stunning. So wonderful to see you and this amazing workmanship. My best to Mr. Squash... Warmly, *karendianne. You did a great job on your New York Beauty. Don't know what is nicer, your quilt top or your yard. Hope you have lots of quilts tops waiting for Lenni. Your NYB is stunning. It's going to be even more so when you've quilted it. I hope Mr Squash's recovery is going well. Your quilt is a beauty! I hope Lenni gets here soon so you can get to quilting. I hope Mr. Squash continues to recover well. I'm sure he's enjoying you taking care of him. Candace, your NYB is fabulous. Congrats! Stephanie will be proud. 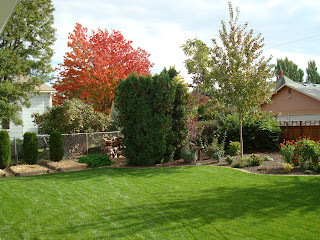 The tree is so pretty but I was admiring your green grass. Great pattern for the tree skirt. I am working on binding for one I am making. Wow, love love that flimsy. It is spectacular. The yard is beautiful. Best wishes to Mr. Squash House. Candace, I LOVE your NY Beauty, it is GOR GEOUS!!! I've been thinking about tree skirts as well. Love the New York Beauty, I bet you're excited to get your new machine. I don't know how I missed this post, but your New York Beauty is stunning - especially when you click in for a close up. I'm sure you are on pins and needles waiting for Lenni. I hope Mr. Squash's recovery is going well. Your co-operation turned out beautiful! I hope your Lenni will arrive soon and you can start playing with him. Hi Candace! I'm dying for you to get your Lenni! I've been waiting. Please post lots about it! 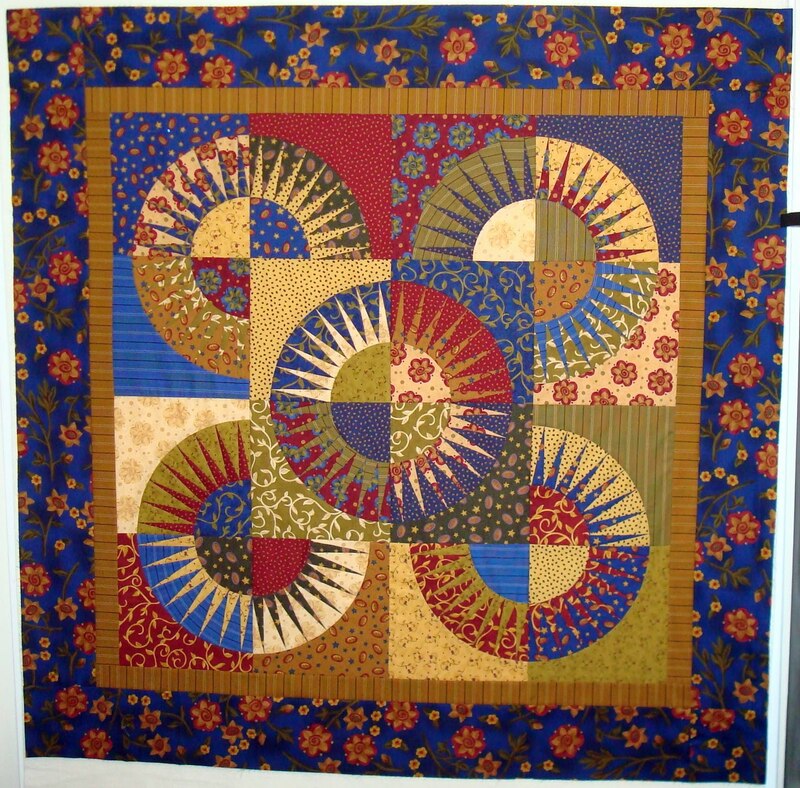 That is one amazing quilt you have done....just beautiful! Just stopping by to say a little hello Candace! Your new york beauty is, well, very beautiful!! And your yard looks amazing! I hope you and Mr Squash are enjoying retirement! I miss seeing you post ..hope all is well. Perhaps, your Lenni has arrived, now wouldn't that be fun!